Langstreckenmeisterschaft Nürburgring Vermarktungs- und Veranstaltungsgesellschaft mbH & Co. KG is delighted by your visit to our website and your interest in our company and our products and services. Protecting your personal data used during the entire business process is a key issue for us and we want you to feel secure when visiting our web pages. In the following, we will explain what information we at Langstreckenmeisterschaft Nürburgring Vermarktungs- und Veranstaltungsgesellschaft mbH & Co. KG capture during your visit to our web pages and how that information will be used.We may process your personal data based on your explicit consent, for the performance of a contract or as necessary for the purposes of our legitimate interests, including for responding to your enquiries and to customize and improve our web offerings, products and services in accordance with your preferences (Art. 6 (1) (a), (b) and (f) GDPR). We collect personal data provided that you have submitted such data voluntarily in the course of your order, for other contact purposes (e.g. when sending us an e-mail) or when registering for a customer account (for example for online entry and media website) or within the context of your participation in a prize draw. The type of data we collect is obvious from the data input fields used on our website. We indicate for relevant fields whether the information is voluntary or required to use our services. Insofar as this is necessary for the performance of the concluded contracts, Langstreckenmeisterschaft Nürburgring Vermarktungs- und Veranstaltungsgesellschaft mbH & Co. KG is entitled to transmit this data to third parties commissioned with the execution of the contract. When you register for a customer account we usually collect name, e-mail address and password. In addition, you may provide your address, including billing and delivery address in your customer account. When placing an order, we collect data on the goods you have selected, including the selected size, pricing information, any vouchers you might use, your billing and delivery address, and the selected method of payment and shipping. In connection with the fulfilment of orders we collect in particular information regarding payment, delivery and returns. To receive our newsletter, you must enter your e-mail address; we also collect information regarding your newsletter confirmation and the use of our information services. In connection with our customer services we might collected further information regarding your enquiries you might have, our handling thereof, including any related correspondence. We use the information provided by you to process your order and to respond to other enquiries. After complete fulfilment of the contract, your data will be stored until expiry of the statutory retention periods under applicable tax and trade laws. Your personal data will only be used for other purposes if you have given your consent to the use of your personal data, if we are authorized or required to use your personal data for regulatory purposes, or if we reserved the right to use your personal data in accordance with applicable laws and as further described below. If you have created a customer account, we store your data for as long as you maintain your customer account. You may have deleted your customer account at any time; please send us a message to the contacts mentioned hereunder. In the event of deletion of your customer account, we store the relevant data only to the extent necessary to fulfil a contract or to the extent permitted or required by law. In your customer account, you can administer your contact data and view your current and past orders. Please treat your access data as confidential and do not share your password with any third parties. We are not liable for any abuse of your password, unless caused by us. As long as you do not sign out you will stay logged in on our website. This allows you to use our website and the various functions without having to log in again. If you wish to change your personal information or place an order, you will be asked to enter your password again. Please close your browser at the end of the session, especially if a third party may have access to your computer. If you become aware of, or if you suspect that a third party has obtained unauthorized access to your access data or uses your account, please change your password without undue delay and inform us by e-mail. If you subscribe to our newsletter, we will use the personal data necessary or separately provided by you to send you our e-mail newsletter as agreed. You may at any time unsubscribe from the newsletter either by sending a message to us or via a dedicated unsubscribe link in the newsletter. Your data will not be passed on to third parties. The sole exception are partner companies responsible for the technical aspects of sending out the newsletter. In these cases, however, the amount of data passed on is limited to the minimum necessary. If we receive your e-mail address in connection with the sale of goods or services and you have not objected to this, we are entitled to regularly offer you similar goods and services, such as the one you purchased by using your e-mail. You can object to this use of your e-mail address at any time in the future by sending a message to us or via the unsubscribe link provided in our e-mail without incurring other than the transmission costs according to the basic rates. We are entitled by applicable laws to store your first and last name, postal address and, if applicable, your title and academic degree and use it for our own advertising purposes, in particular for sending offers and information about our goods and services by post. You can object to this use of your data at any time for the future by sending a message to us, without incurring other than the transmission costs according to the basic rates. We do not perform a credit check ourselves and do not use any own credit scoring. However, credit checks and scoring may be performed by the payment service providers you choose during the ordering process. For the processing of the payments the respective contractual terms of the payment service providers and their data protection terms apply. In order to make your visit to our website as attractive as possible and to enable the use of certain functions, we use so-called cookies on various pages. Cookies are small text files that are stored on your device. Some of the cookies we use are deleted after the end of the browser session, i.e. after closing your browser (“session cookies”). Other cookies remain on your device and allow us to recognize your browser on your next visit. You can choose your browser settings so that you are informed about the setting of cookies and individually decide on their acceptance, or exclude the acceptance of cookies for specific cases or in general. If you do not accept cookies, you may not be able to use certain or all features of our website. Since the protection of the private sphere of children is of major importance, we would prefer not to gather, process or use personal data of persons under 16 years of age. Should you as their legal guardian learn that your children have sent their personal data to us, you can get in touch with us via the addresses given in the imprint if you want those data to be deleted. Our e-mail communication may contain so-called hyperlinks (“links”) that include random but unique identification numbers. These identification numbers may be collected and stored by us (or external service providers working for us, such as web analysis service providers) once your computer calls up these links in order to retrieve further information from our servers. The identification numbers contained in these links will not be linked to your name, address or other personally identifiable information, unless you have given us explicit permission to provide you with information specifically tailored to your interests. We use these links and information on your page requests to track your use of our e-mails and our website and determine and measure the success of certain marketing activities. We use this information to further improve our website and our e-mail newsletters, especially by adapting our information and offers to the individual interests and needs of the users. Our websites feature social plugins of different social networks (e.g. Facebook, Twitter, Youtube, or Pinterest). By means of these plugins you can set bookmarks on these websites and share these bookmarks with other participants of the social networks. You can recognise social plugins by the logos that can be found on the websites of the social networks. If you open a website containing these social plugins from our internet offer, a direct connection to the servers of the social networks will be established. From there, the image of the plugin and the underlying functions are then transmitted directly to your browser. Your browser will integrate these into the representation of our website. If, at that moment, you are logged in to the social network using your user name and password, the information that you are visiting our website will be transferred to the social network and this information can be assigned to your user account. If you are interacting with the social plugins, i.e. if you share one of our websites or if you use the Facebook “Like” or “Share”, the Pinterest “Pin-it” or the Twitter “Tweet This” functions, for instance, the contents of our websites will be linked to your profile in the social network. If you are not a member of the social network or if you logged out with the providers before visiting our shop, it may nevertheless be possible that at least your IP address is transmitted and stored with the providers. We would like to point out that other data privacy and liability regulations shall be applicable to these linked websites of third party providers. The storage und use of data by the site operator occurring when using these linked sites may exceed the extent of the present data privacy statement. The processing on the connected social networks, the storage durations, as well as the purpose shall exclusively be determined by these providers. Please find further information about the used social plugins and the data privacy statements of these providers by using the following links. When you visit our web pages, our webservers, as standard and for the purposes of system security, temporarily save the connection data of the enquiring computer, the web pages you visit here, the date and duration of the visit, the identification data of the browser and operating system type, as well as the website you visit us from. Personal information extending beyond that, such as your name, your address, telephone number or e-mail address will not be captured unless you give that information voluntarily, e.g. within the context of registration, a survey, a prize draw, for the purposes of fulfilling a contract or a request for information. Langstreckenmeisterschaft Nürburgring Vermarktungs- und Veranstaltungsgesellschaft mbH takes all necessary technical and organisational security measures to protect your personal data against loss or misuse. Your data, for instance, will be stored in a secure operating environment, which is not accessible to the public. Should you want to get in touch with Langstreckenmeisterschaft Nürburgring Vermarktungs- und Veranstaltungsgesellschaft mbH by e-mail, we would point out that the confidentiality of the information transmitted is not assured. Third parties can view the content of e-mails, so we would advise you to send us confidential information only by post. You do of course have the option at any time to have your data partially or completely deleted. You can revoke your consent to use of your personal data for our own advertising purposes at any time by post and/or by email to info(at)nuerburgring.de. Participation in our special promotion will of course not be affected by you revoking your consent. We will accede to your wishes without delay and immediately cease sending further advertising material. To the extent we might be required by law to retain your data, that data will not be deleted but will be blocked. Upon written request, we will inform you about which data concerning you personally (e.g. name, address) we have stored. Our data protection provisions are in line with the German Federal Data Protection Act (DBSG) and the German Telemedia Act (TMG). 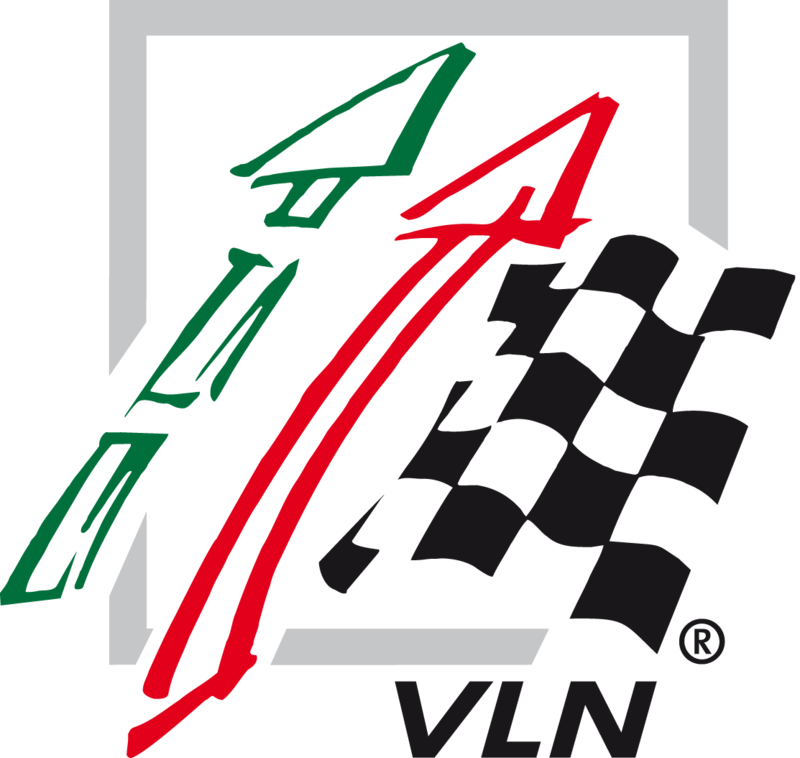 The VLN Langstreckenmeisterschaft Nürburgring is the largest grassroots series in the world. Nine times a year, 170 race cars - from close-to-production touring cars to full-blown GT3 cars - start on the world's most beautiful and demanding race track, the Nürburgring Nordschleife.